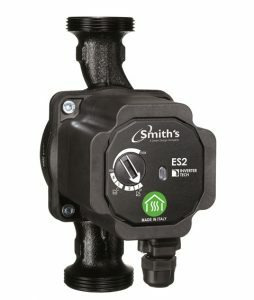 Smith’s circulators, manufactured by Taco Italia, provide long-lasting, easy to install and simple to use Central Heating Pumps. Taco Italia has been designing and manufacturing high efficiency domestic heating circulators for the European OEM market since 2000. They are a principal supplier to many of Europe’s major boiler manufacturers such as Bosch TT, BDR Thermea and Ariston. 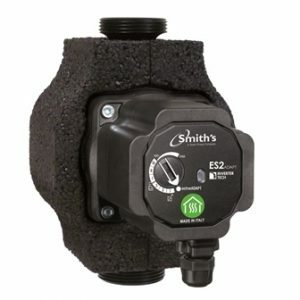 Smith’s circulators are a “wet rotor” type because all rotating parts are immersed in the fluid being pumped. The pumped fluid cools and lubricates the motor and rotating parts. These types of circulators stand out for the fact that they do not have a packing seal or mechanical seal. No protection against overload is required. The motor is protected against short-circuit operation, overheat and dry running. The circulator does not require any external protection of the motor. INVERTER TECH technology allows the circulator to change rotating speed. The microcontroller built in the electronic control system contains a fully automatic speed control system able to adapt to the changing needs of the system. 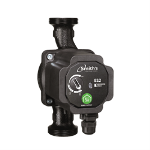 The circulator delivers the performance you need with minimum energy consumption.